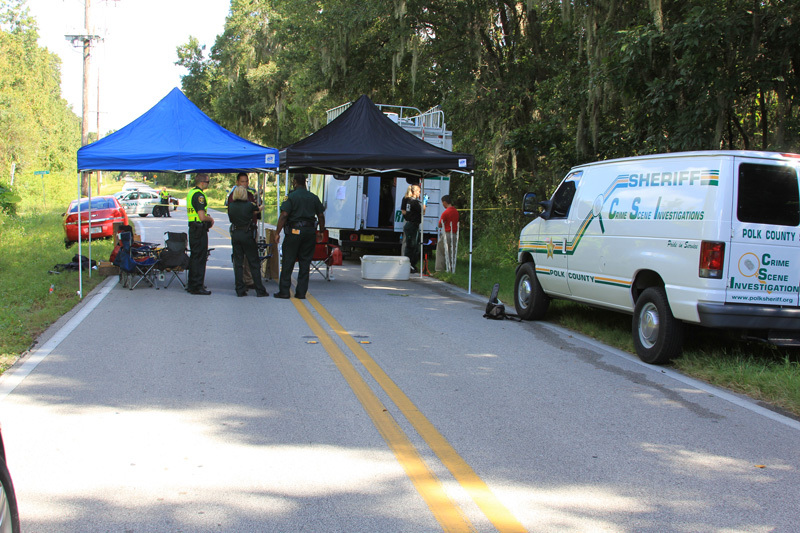 Polk County, Florida — Homicide detectives in Polk County are conducting a death investigation after a man found human bones in the woods. It was around 8:55 a.m. Tuesday, September 17, 2013, when a witness from Tampa was looking for scrap metal along North Wabash Avenue in Lakeland, between Memorial Blvd and Crutchfield Road, but instead of finding scrap metal, he found a human skull and bones. The witness then called the Polk County Sheriff’s Office and reported the remains. PCSO detectives and crime scene investigators are now processing the scene taking photos of the area, and conducting a thorough search of the woods trying to gather any additional evidence there may be. The crime scene is located in the woods east of North Wabash Avenue, slightly south of Crutchfield Road. The remains will be taken to the Medical Examiner’s Office for examination in hopes of identifying the deceased person and determining his or her cause of death. Investigators are saying that the bones do appear to be those of an adult body. Photos of the bones are not being released at this time. Ocala Post will continue covering this story as this is an ongoing investigation. Check back for further details.